Most of the time we consider social media and the various tools associated with social media it is in connection with Social Media Marketing. We often talk about engagement, community building, sharing and content creation however, there are other uses for social media and Web 2.0 tools. The tools can be used to improve internal communications or to enhance the existing services you provide equally, they can be used for Customer Service. 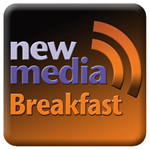 The New Media Breakfast in April will explore how social media and the various tools can be used to improve cutomer service. We will look at how successful companies are using social media to engage with customers, often taking the burden off internal Customer Service Departments. Likewise, we will take a look at how some companies could have used the tools to do things better and why they failed in their attmpts. Attendees will hopefully leave with some clear ideas about how social media can be used as an effective Customer Service tool and perhaps some warnings about what not to do!